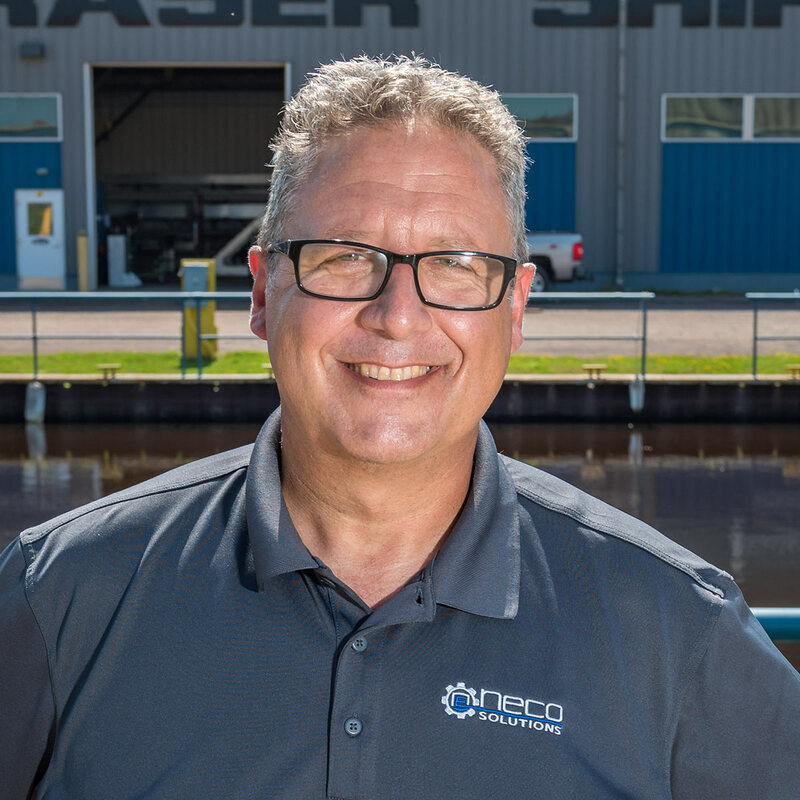 Fraser’s leadership team has the vision and plots direction, and oversees day-to-day operations for the entire shipyard. Its overriding objective is to ensure positive outcomes for the company’s customers. Our highly skilled and experience employees perform to the exacting standards of our uniquely demanding customer base. Talk to us about your toughest challenges. Call 715-394-7787, 24 hours a day. Mr. Farkas joined Fraser Industries in 2011, bringing more than 35 years of industrial operational experience to the company. He earned a Master of Business Administration (MBA) from the Seidman School of Business at Grand Valley University in Michigan. 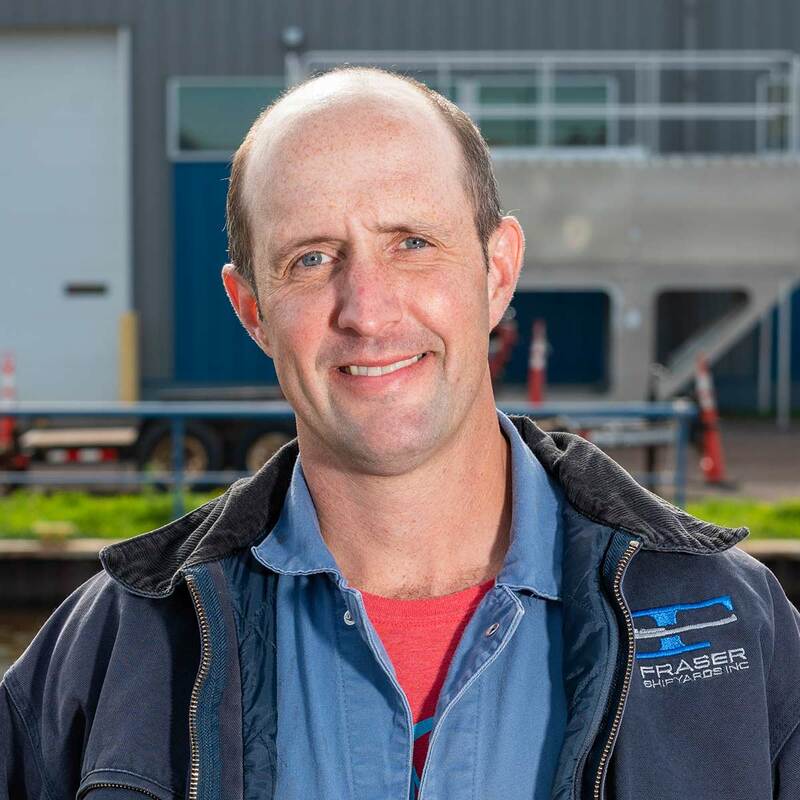 Mr. Farkas’s prior experience – with an emphasis on electrical control systems and motors, acoustics, and polymer chemistry – includes boat building for two of Holland’s premier builders. Other recent capacities Mr. Farkas oversaw include mobile hydraulic systems for construction, forestry, exploration, and land-clearing applications. Mr. Farkas strives each day to serve customers and the internal team by listening, collaborating, and cooperating. Dave Steininger has been affiliated with Fraser since the fall of 2009. Steininger has extensive experience in finance, corporate capital structures and acquisition/strategic partnering arrangements over the course of his career. He leverages his financial skillset for project management, strategic planning, and business plan creation and execution to help Capstan Corporation and the Company’s customers achieve their business objectives. Prior to his role as Vice President at Fraser, Steininger held positions at organizations including EmpowerMX and several GE companies. 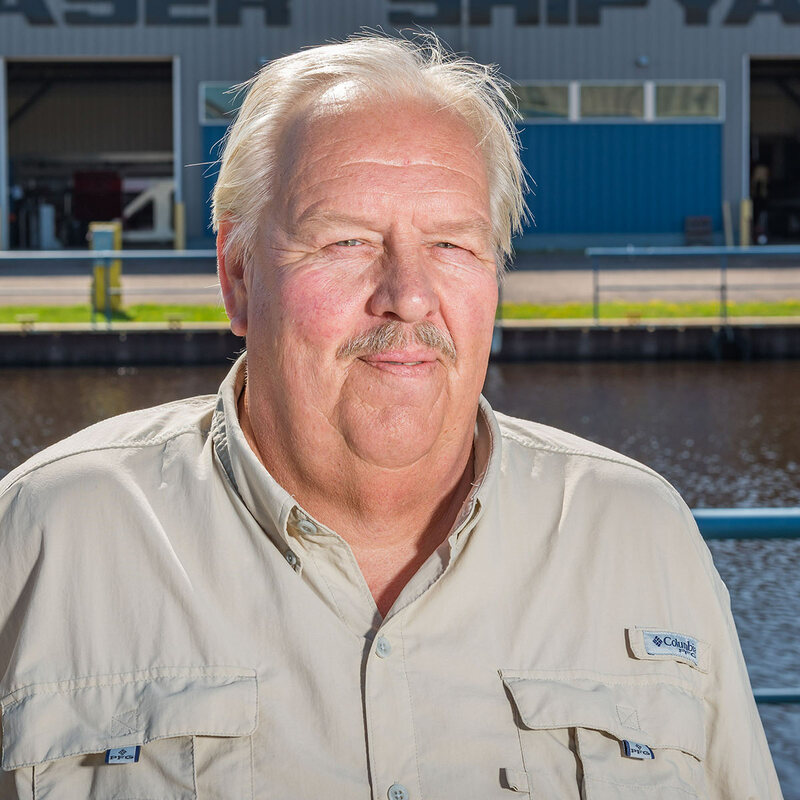 Mr. Tanula has been with Fraser Shipyards for more than 20 years. 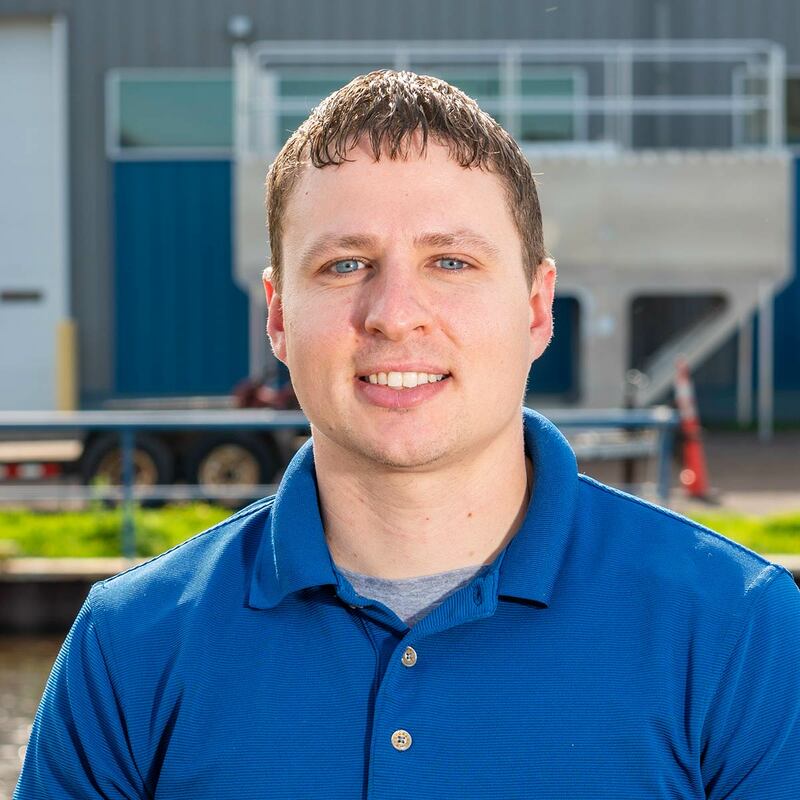 A third generation Great Lakes maritime worker, Mr. Tanula has extensive experience in lofting, drafting, blueprint reading, and running the fabrication shop. Mr. Tanula has been responsible for the construction of many complicated modules used to modernize the Great Lakes bulk carrier fleet. In his current role of Yard Superintendent he oversees the Fraser workforce across a wide variety of projects. In a key role for Fraser and its customers, Mr. Tanula ensures that all operational needs are met on schedule. 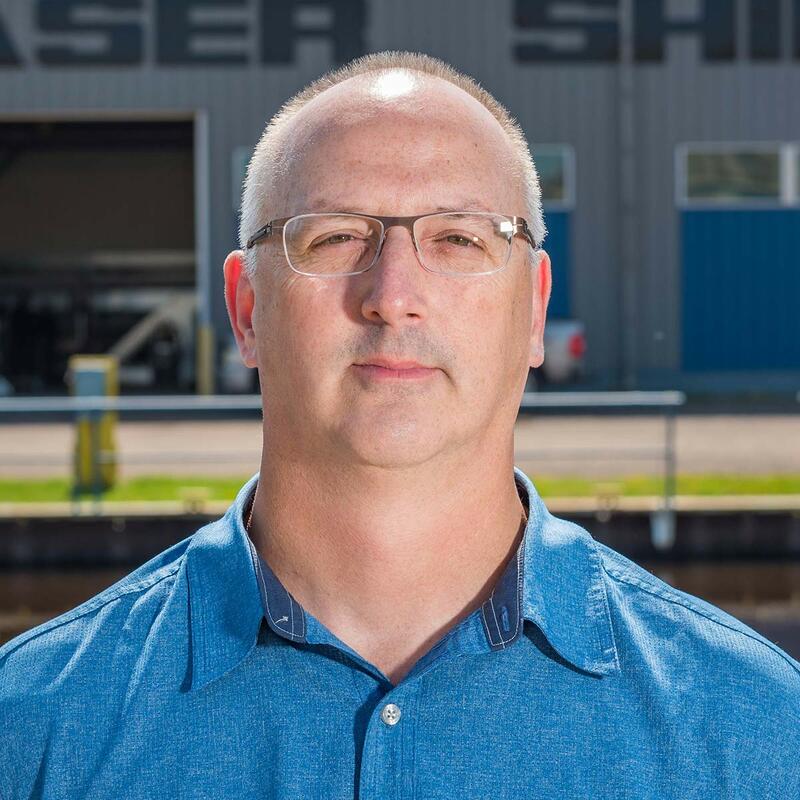 With Fraser since 2012, Mr. Husby earned a Naval Architect and Marine Engineering degree in 2010. 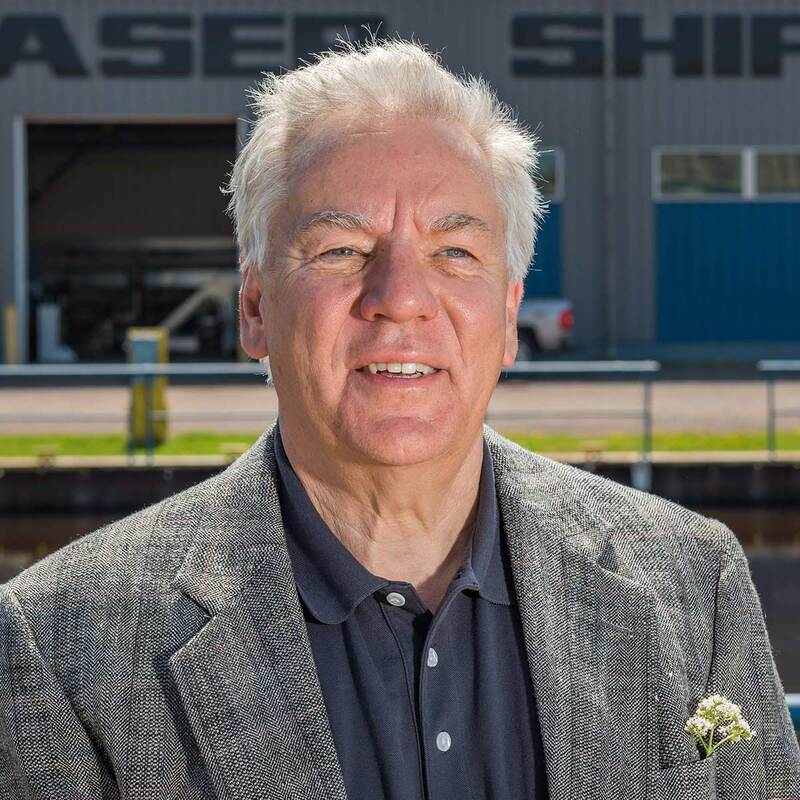 Prior to joining Fraser, he spent two years at Bollinger Shipyards (New Construction) and three years at Downey Engineering Corp. He participated in the design and development of naval, offshore, and dredging vessels including LC-6, Hornbeck Super 320 OSV, and W315 CR McCaskill Cutter Suction Dredge. 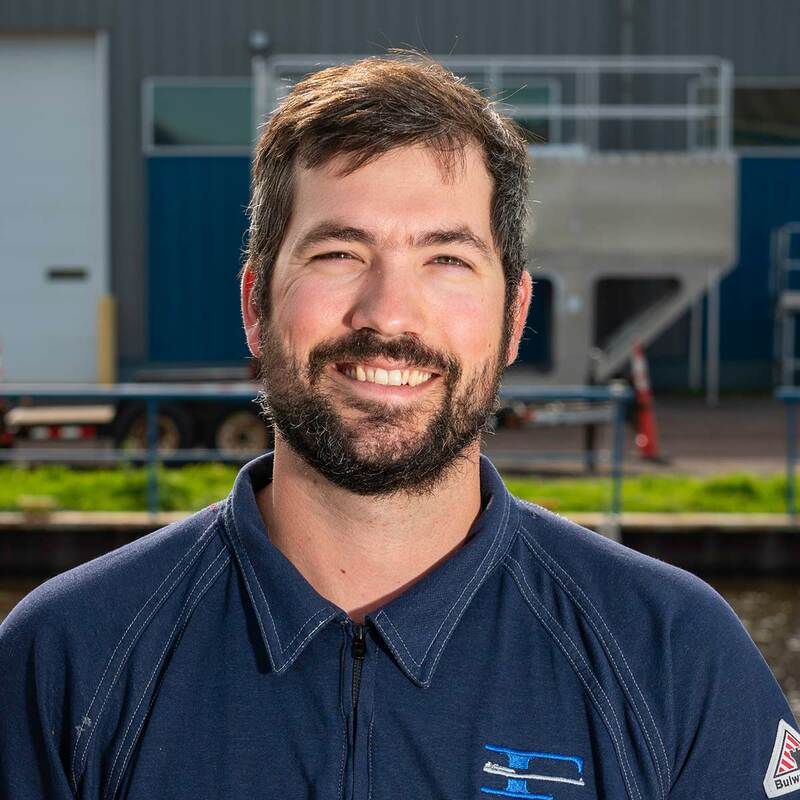 His current responsibilities include modifications and repairs of existing vessels, as well as design work for jigs, fixtures, and the shipyard’s infrastructure. Mr. Husby is a key liaison for maintaining the company’s “R” stamp and other required welding qualifications. Prior to his current role of General Foreman, Mr. Kolenda was responsible for the maintenance and modernization of several commercial bulk carriers of a Fraser Shipyards customer. He is second-generation Great Lakes mariner and a graduate of the Great Lakes Maritime Academy, where he was named Outstanding Cadet of the Year. Mr. Kolenda earned his chief engineer’s license prior to being assigned a port engineer’s role with responsibility for multiple vessels. Mr. Kolenda’s day-to-day duties at Fraser include responsibility for safety, quality, and workforce training. Jacob Searl joined the Fraser family of companies in 2015. He is an experienced Marine Engineer/Project Manager who has overseen a wide variety of time-sensitive government and private contracts. Searl’s recent accomplishments include his work on the design and installation of ship modifications for the Coast Guard and the American Bureau of Shipping. He has directed the construction and repair of large steel projects in the marine and mining industries, including the construction of two new 90,000 lb. dump truck bodies. Using stress analysis and solid modeling, Searl also designed a mobile fixture for Great Lakes vessel repairs. And, utilizing Six Sigma workflow techniques, he developed time management improvements on a number of projects. 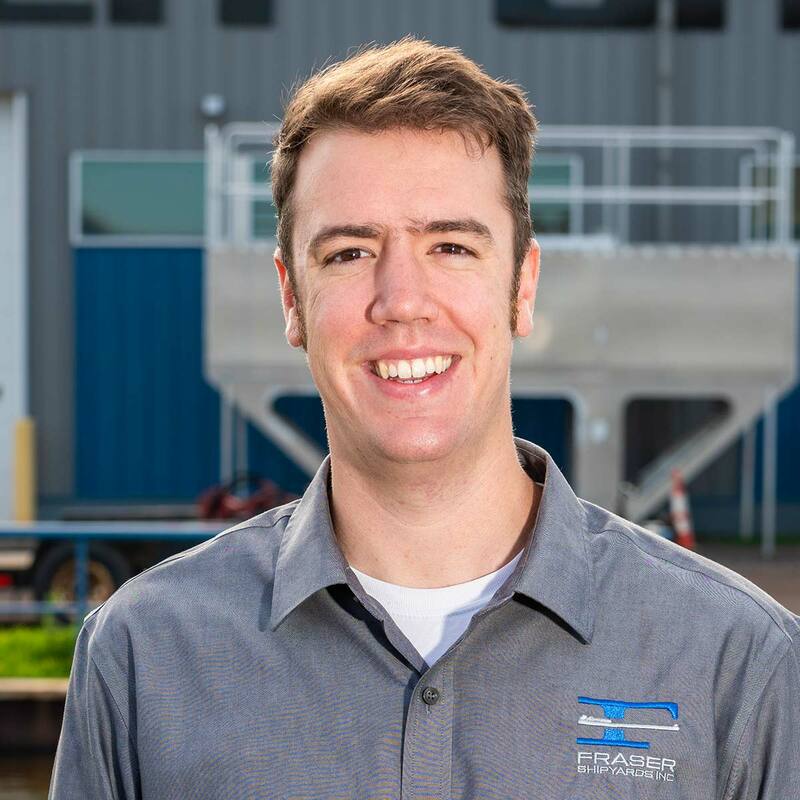 Matt provides marine engineering and design services for refit and repair, and manages projects ranging from urgent underway repairs to multi-million dollar layup and construction projects. 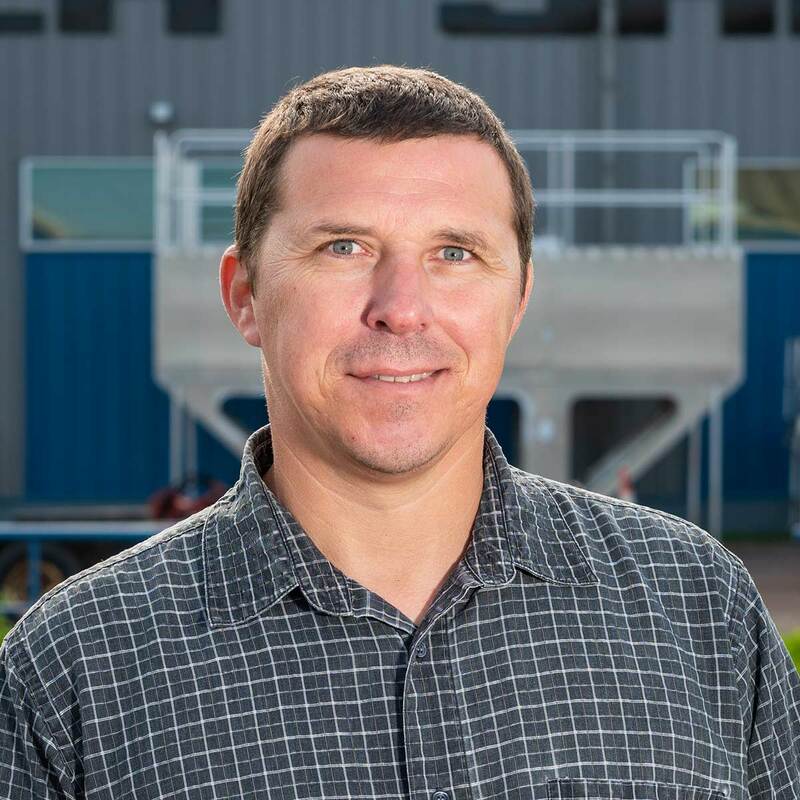 He holds a Master of Science degree in Marine Science from the University of North Carolina, and a Bachelor of Science degree in Mechanical Engineering from the University of Toledo. Matt also has direct vessel operational experience from his time serving as captain of passenger ferries on the Great Lakes. 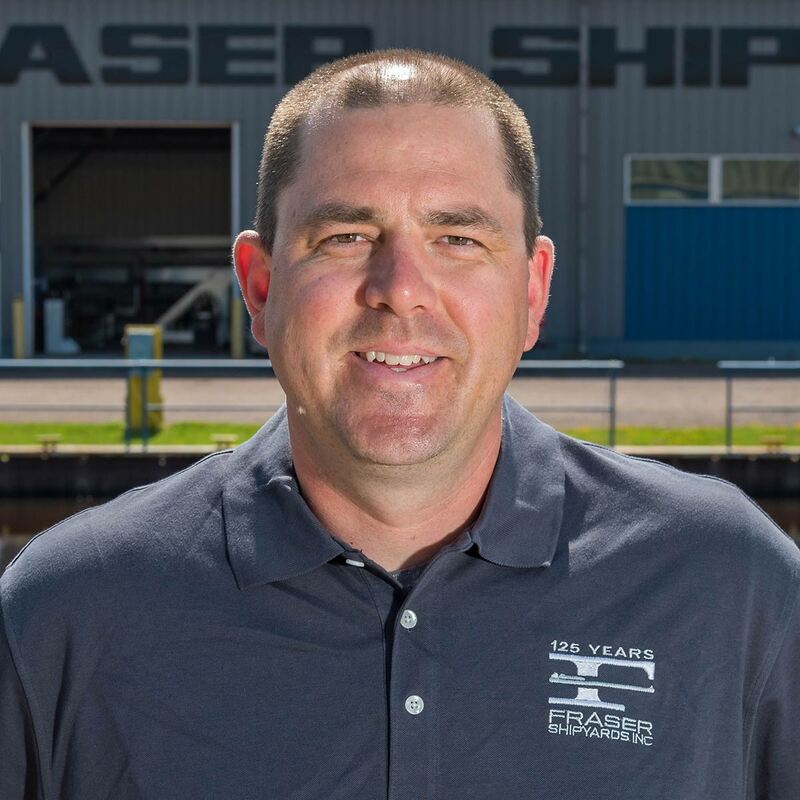 Prior to joining Fraser, Matt worked in industrial R&D and ship test & trials at Fincantieri Marinette Marine on the Freedom-class Littoral Combat Ship program. Jim Petruga has been with Fraser since 2015. 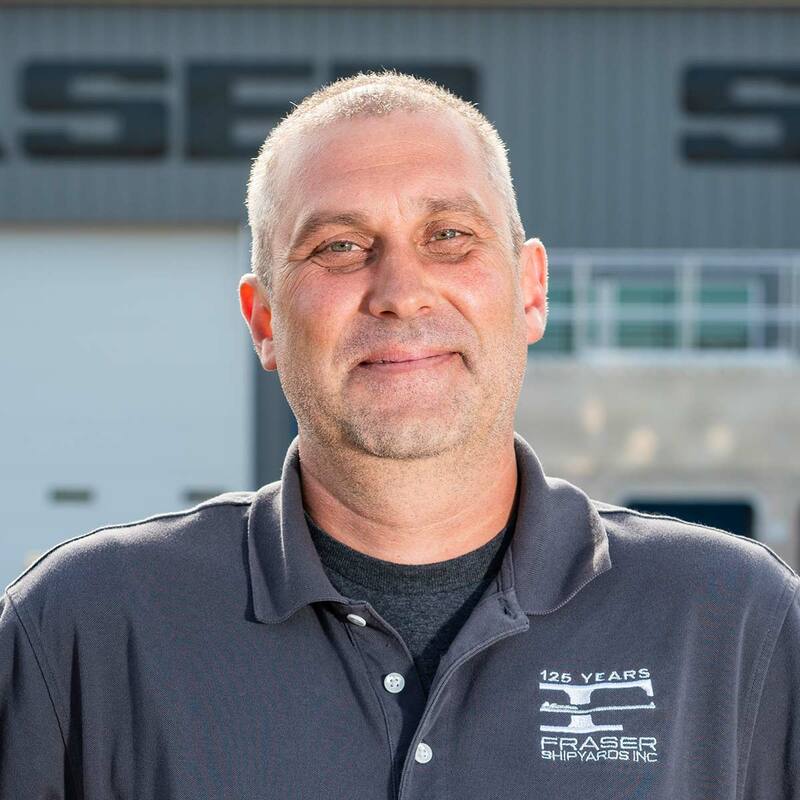 He works with industrial customers for their fabrication, machining, and equipment rebuild needs. Jim’s prior experience includes positions in General and Operations Management for a large North American based textile rental and processing company. He is accustomed to working with customers that manage a wide variety of processes and require great service to run their businesses. Clyde began his career at Fraser Shipyards in the early 1980s as a Fitter/Welder. He moved on and spent several years in the construction industry working for MA Mortenson on a number of high profile military construction projects around the United States. Clyde held various Safety Management and Project Management roles while with MA Mortenson. He returned to the shipyard in 2010 to help manage the Safety program and has recently been promoted to the position of EHS Manager. Amanda has been part of the Fraser Team since 2016. She works with training, developing and improving safety policies and procedures, and assuring use of the newest and best available PPE. 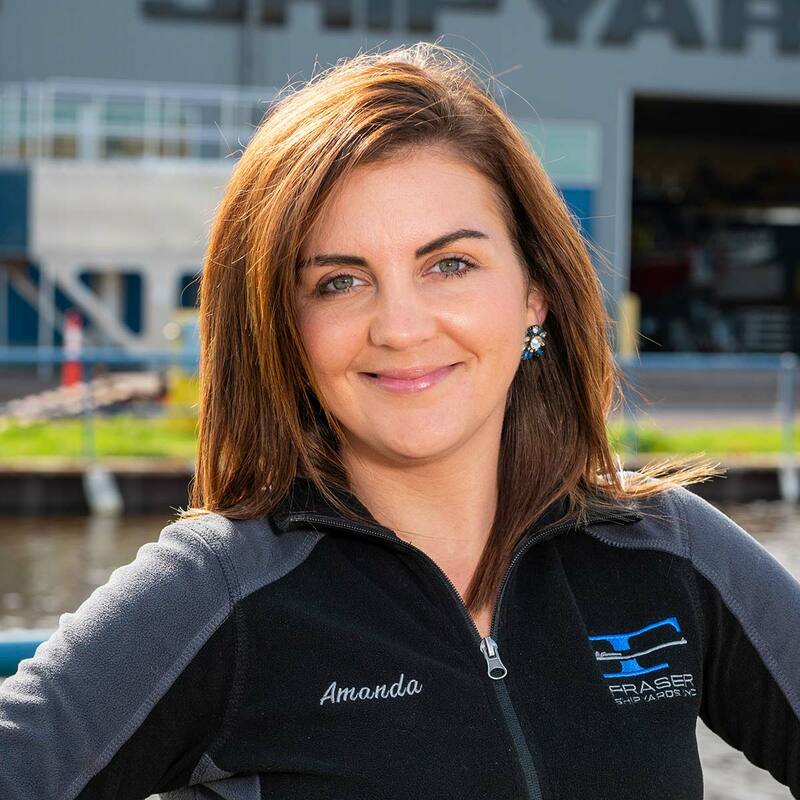 Prior to her time at Fraser Shipyards, Amanda worked for six years with non-destructive testing, chemistry, and quality control for Twin Ports Testing and the United States Air Force. Mr. DeCaprio joined the Fraser family of companies in 2017. He came to the organization from a leadership position with the United States Coast Guard. In addition to his USCG experience, DeCaprio has an Advanced Welding Technologist degree from Lake Superior College. 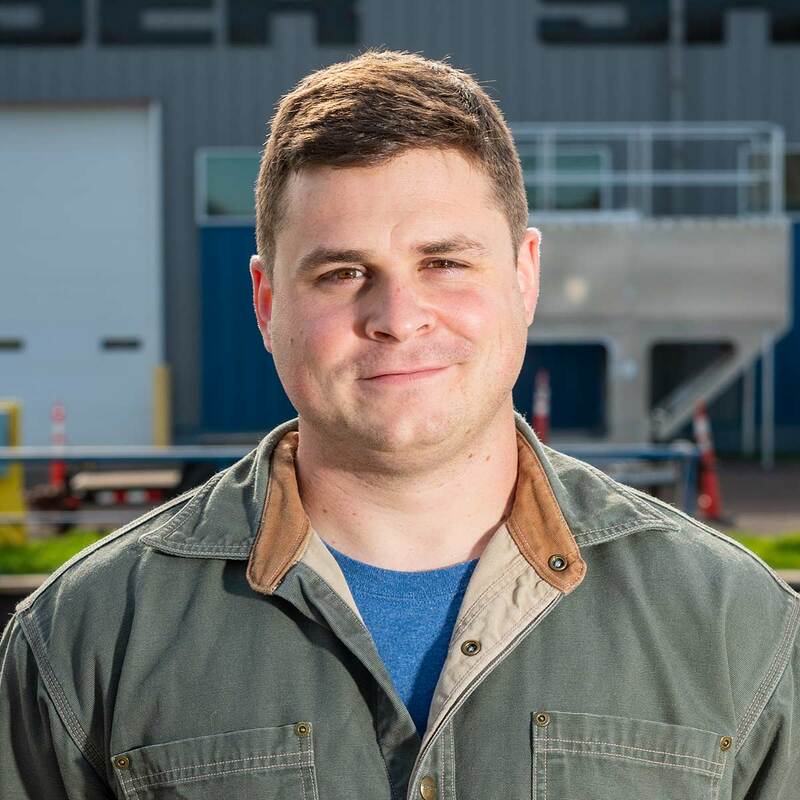 Michael’s combined background in welding, electrical systems, and electronics systems – plus his leadership experience in the USCG – serves Michael well in his role as a Field Level Safety Coordinator. Linda Gran has been with Fraser since 2013. She has a well-rounded background in business practices, accounting, payroll, and policies. 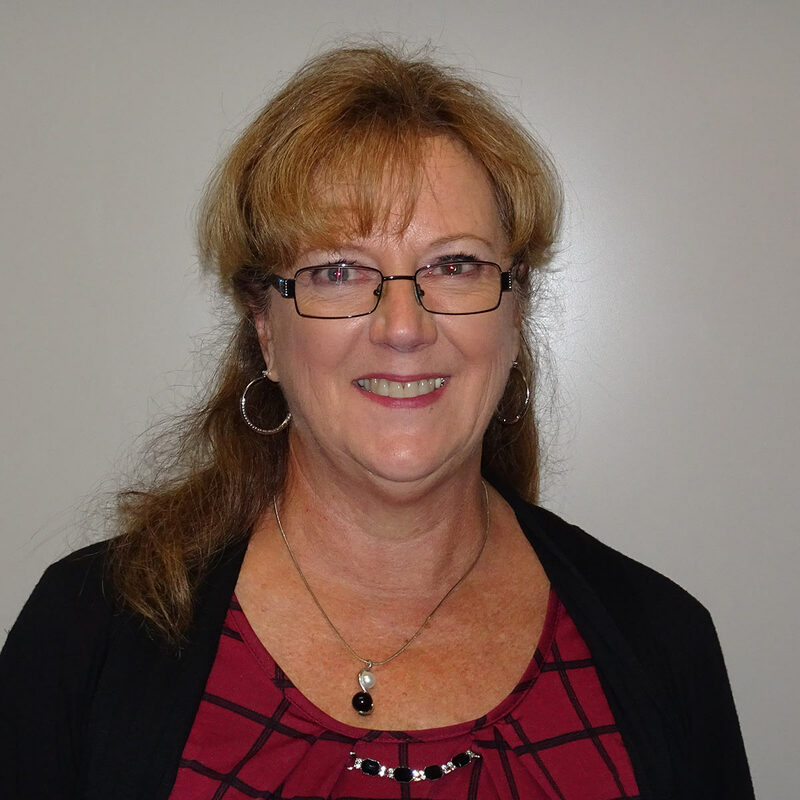 Linda works cross-functionally with purchasing and operations to ensure that cost information is flowing to both Fraser staff and customers. Prior to working at Fraser, Gran held leadership positions in healthcare administration for Essentia and an accounting position with Barko Hydraulics. Nick Hickey has been with Fraser since 2014. As a business analyst, his duties include financial analysis, job focused labor and materials review, as well as assembling and evaluating bids with the management team for all of Fraser Industries. Other responsibilities include capital expenditure analysis, equipment utilization audits, and management of the network infrastructure and data processing systems. Prior to working with Fraser, Nick started his career in private wealth management and financial counseling. Eric Polkoski joined the Fraser family of companies in 1996. As Purchasing Manager, Eric’s top priority is to find cost effective solutions to meet customer needs. His significant industry knowledge and broad supplier base are assets to the Fraser organization and its customers. Polkoski has a supply chain background that includes the sourcing of materials, equipment, and services for the Shipyard. Prior to joining Fraser, he held a similar position in the construction industry. 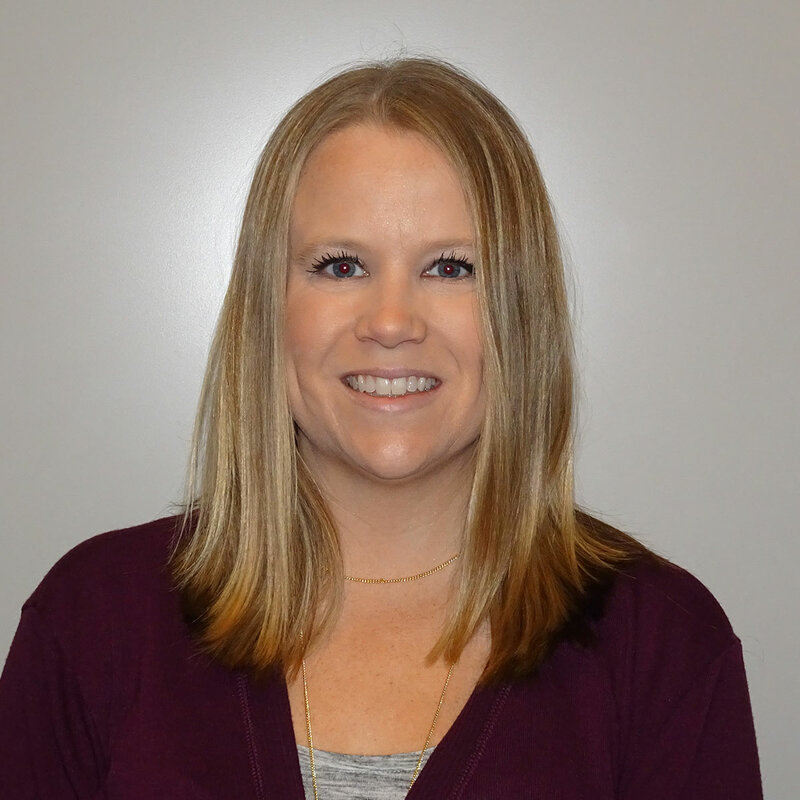 Heather Boe has been with the Fraser family of companies since 2016. 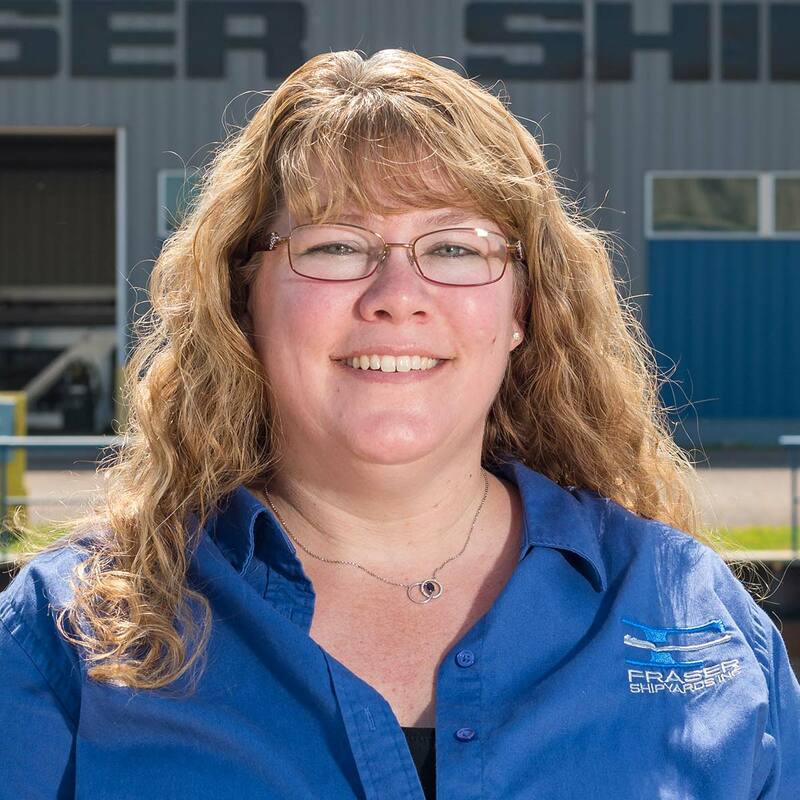 In her role as Buyer, she works with both Fraser Shipyards and Lake Assault Boats to source the materials needed for both new builds and large repair projects. She oversees the inventory management system and analyzes the bills of material for upcoming projects to ensure that everything is on hand when needed. Prior to joining Fraser, Heather held a similar position with Cleveland Cliffs, a large multi-location mining company. Kathy Childs has been with Fraser since 2003. She is responsible for managing the job cost system used at Fraser. Childs works with operations, purchasing, and accounts payable to ensure that all costing is correct. Kathy is the third generation in her family to work at the Shipyard, her grandfather was a crane operator that retired from Fraser in the 1990’s. Her step-grandmother worked as an Administrative Assistant and retired in 2003. In addition, she had several uncles who worked at Fraser during winter layup seasons.